"VIVEGAM IS EVEN BIGGER AND BETTER THAN.."
“It is a very huge opening for Ajith’s Vivegam. There is a huge demand for tickets everywhere and all our 6 screens have been booked completely. It shows the love and craze that Ajith fans have for him. What did Anirudh say after the Vivegam FDFS ? Popular actor injured at Kaala shooting spot! 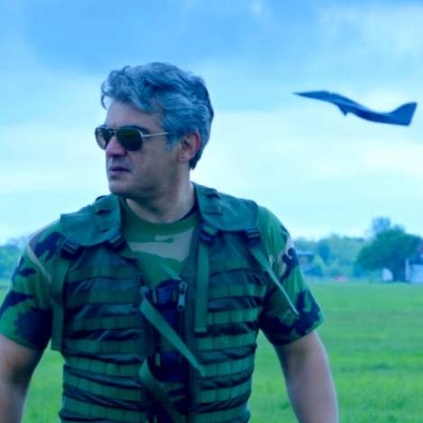 Vivegam Review | Has Ajith Satisfied His Huge Fan Base? Vivegam FDFS | Thala Ajith Fans Mass Celebration At Rohini Theatre! People looking for online information on Ajith, Vivegam will find this news story useful.